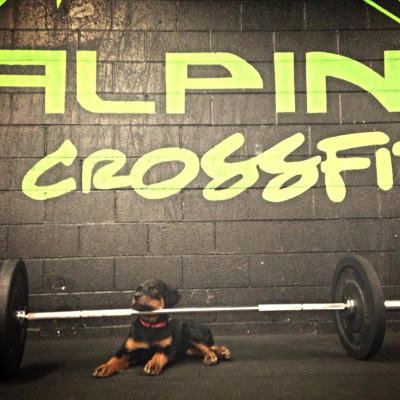 www.AlpineCrossFit.com Welcome to our #TeamAlpine page. We affiliated summer 2010 and this will be our Seventh Open! Alpine is just like many other affiliates - we work hard and grind through strength programs and WODs while trying to master this Sport of Fitness and lead healthier and happier lives. Our members are like family and we appreciate all of you! Alpine plays hosts to two annual competitions - The Legends Competition in June (LegendsCompetition.com) and our Holiday Weightlifting Meet in December. We enjoy weightlifting and became a USAW affiliate in 2013 - Alpine Weightlifting Club. Our athletes enjoy building their strength and conditioning and we have a few athletes who compete regularly. Lime green and black is our kind of swagger. If you find yourself traveling in our area we would love to see you! Alpine is located in Wheat Ridge/Arvada area. Check us out on Facebook, Instagram, and Twitter. Good luck in the Open!